The upcoming UBIAS Directors' Conference in Brazil will be the fifth of the kind and the first in the American continent. The Institute of Advanced Studies of the University of São Paulo (IEA-USP) is thrilled to host their colleagues from March 19 to 23, 2018. After the founding conference in Germany, in 2010, when the directors gathered for the first time, this became a biennial event, having previously been hosted in Israel, Taiwan and England. Please check if any member of your institute's delegation visiting São Paulo will need to apply for a visa and (if so) which documents should be issued by the host institution. The IEA-USP will arrange daily transfers from and to both indicated hotels on March 20, 21 and 22. Transfers from the airport to the hotels will be offered throughout the day on March 18 and 19. Please have this information in mind when programming your flight schedule. Here are our suggestions, considering a high-quality hotel and a standard-quality one at a better rate. Exchange rates on December 22: USD 1 ~ BRL 3,30 and EUR 1 ~ BRL 3,90. Please refer to the attached file for room descriptions. Designed by Ruy Othake and decorated by HBA (Hirsch Bedner Associates), George V Alto de Pinheiros allies beauty and functionality expressed in spacious, sophisticated and cozy suites at the best location in town. Every detail has the purpose to offer maximum comfot and convenience. Daily rates include breakfast, wi-fi and a parking spot. For the appliance of the special rate for the UBIAS event, please mention "IEA-USP Conference" when contacting altodepinheiros@georgev.com.br or (55 11) 4550 2025. For the appliance of the special rate for the UBIAS event, please mention "IEA-USP Conference" when contacting reservas@goldentowerhotel.com.br. The host Institute will charge a contribution fee of USD 350 (or EUR 300) for helping to cover services of transportation, meals and other expenses. Information on how to proceed the bank transfer will be sent to your registered contact e-mail address(es). The contribution fee does not cover personal travel and accommodation expenses. Since that occasion, which was later considered the first directors' conference, three more happened from 2013, respecting a geographical rotation and an interval of at least a year between them. The Israel Institute for Advanced Study in Jerusalem hosted the second conference between March 4 and 6, 2013. The minutes of the final business meeting of the participating institutes is available here. 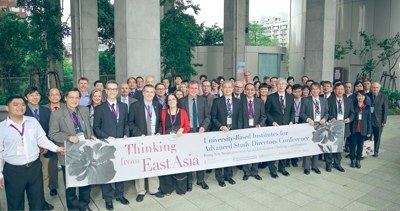 From November 27 to 30, 2014, the National Taiwan University's Institute for Advanced Studies in Humanities and Social Sciences hosted the third conference. The minutes of the final business meeting of the participating institutes is available here. 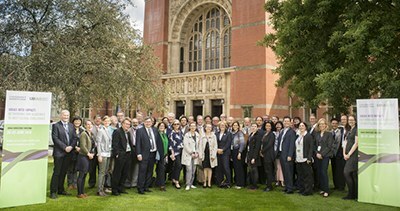 The directors' conference went back to Europe in 2016, when the The University of Birmingham's Institute of Advanced Studies hosted the fourth edition from June 19 to 23. The minutes of the final business meeting of the participating institutes is available here. The IEA-USP has attended all the conferences and maintains a position within the networtk's Steering Committee since the foundation in 2010. Should you have any doubts before proceeding with your reservation or concerning further issues, please contact Richard Meckien from the IEA-USP (rkmeckien@usp.br).